“Someone memorialized Thoreau’s small friend by drawing a mouse on the the back of his door,” writes Laura Dassow Walls in her magnificent new biography. In honor of the Thoreau bicentennial and the mouse at Walden Pond, I asked my friend Marion to draw one on the door to my apartment. Meanwhile, in Antarctica: Larsen A’s gone, Larsen B collapsed, and yesterday a big chunk of Larsen C broke off. But you know what? It’s really the West Antarctic ice sheet you should be worried about…. 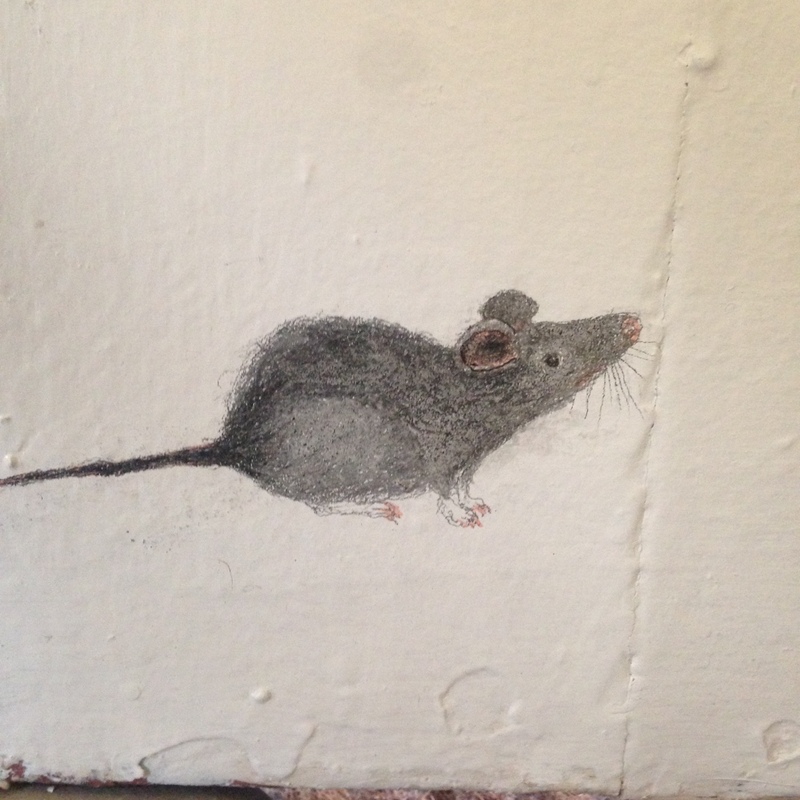 Adorable mouse – and the only kind I want to see in my apt!